If you’re checking out investment properties in La Verkin, UT, then you may also be examining how to go about managing your property. And if you’re not, you need to be! There are many tasks involved when managing a rental property, and it can easily become overwhelming. Even routine maintenance requires you to consider many things, and extreme care is needed when dealing with renter relations. If these duties aren’t accomplished properly, your return on investment may not be maximized. The key to getting the best return on investment is to engage the services of experts that are well-versed in both the property management industry and the La Verkin area. When you work with Real Property Management Southern Utah, you are putting your property in dependable hands. Our knowledge of the La Verkin area works to your advantage. We use this information to specialize in flourishing within the local market and the unique characteristics of your tenants. With us as your teammate, you can enjoy the profit from investing in La Verkin real estate while letting us handle the details of property management. Our design is simple. We provide professional, solid management services. These range from filling vacancies and screening tenants to rent collection and maintenance programs. Perhaps you’re an investor with plenty of rental homes or maybe you’re an unintentional landlord. No matter your situation, we have the solution best suited for you. With over 30 years in the game, we put forward top-quality rent assessments, cost-effective maintenance, comprehensive accounting services, and more. These services will make it easy to manage your investment. No more sleepless nights of do-it-yourself property management. You’ll constantly know when your property is rented out to a tenant, when rent collections are made, the reason why a tenant is being evicted, and when repairs or maintenance are needed. Over and beyond that, you will have online access to your property’s information anytime you want. With Real Property Management Southern Utah, it’s plain to see how the right property management company makes you succeed with ease as a rental property investor. We are an industry leader in the fields of licensing, insurance, and legal compliance, making our team prepared to deal with any situation imaginable with your La Verkin Ultimately, our chief goal is to create high-quality partnerships with both investors and renters to give you confidence that your property is managed just like how you would want your own home managed. When we begin to manage the constant and time-consuming property management tasks for you, you save time and energy and can focus on acquiring more properties and growing your business relationships. As we continue to expand, so do the locations we manage. We are not confined to the areas listed below, instead, we are keen to grow with you depending on your particular location and needs. Just inform us if your location is not listed. If you are interested in having your La Verkin property managed by Real Property Management Southern Utah, have more questions, or just want to talk to one of our team members, then contact us online or call us directly at 435-673-4242 today! 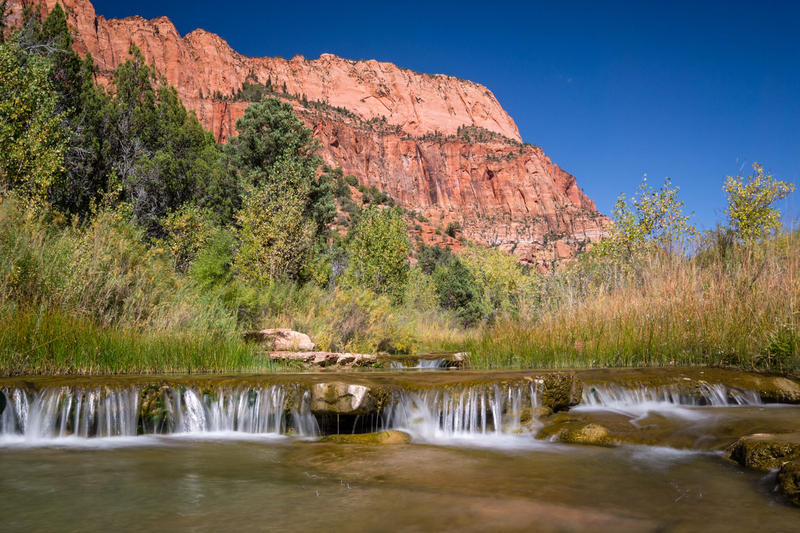 La Verkin is a friendly and rural community located in the heart of the Grand Circle– which includes the famous Zion National Park and the Grand Canyon National Park. It’s framed by incredible mountains and colorful canyons and it lies on the north banks of the Virgin River opposite Hurricane City. This makes La Verkin a picturesque location that is safe and slow-paced, ideal for raising a family. For activities, you have the La Verkin Pah Tempe Hot Mineral Springs which were regarded as a place for healing and relaxation. La Verkin is also home to Confluence Park where outdoor activities and trails, so grab the family and go for a hike, bike ride, or take pictures of the beautiful Southern Utah scenery.